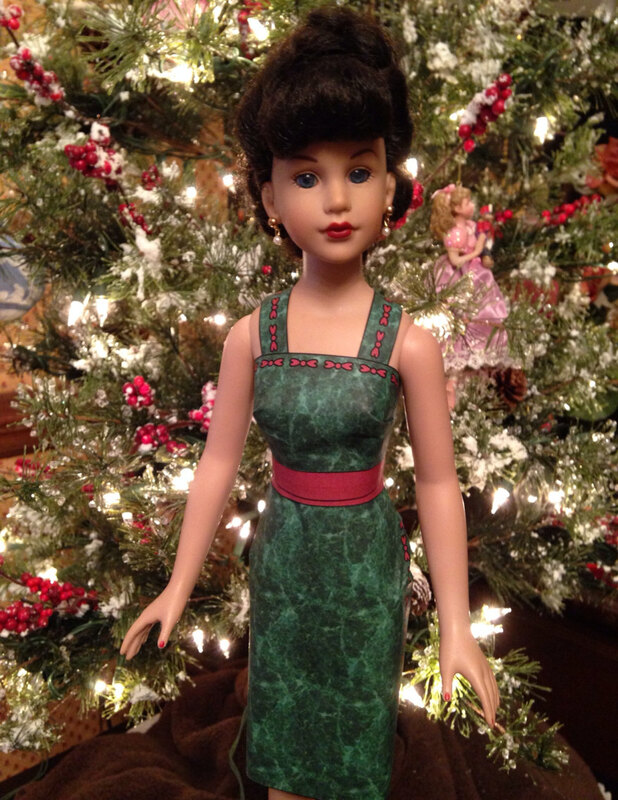 Barbie Stardoll is wearing a top, circle skirt, and cap sleeves. Barbie Stardoll is wearing a top, circle skirt, straight sleeves, and a cape. 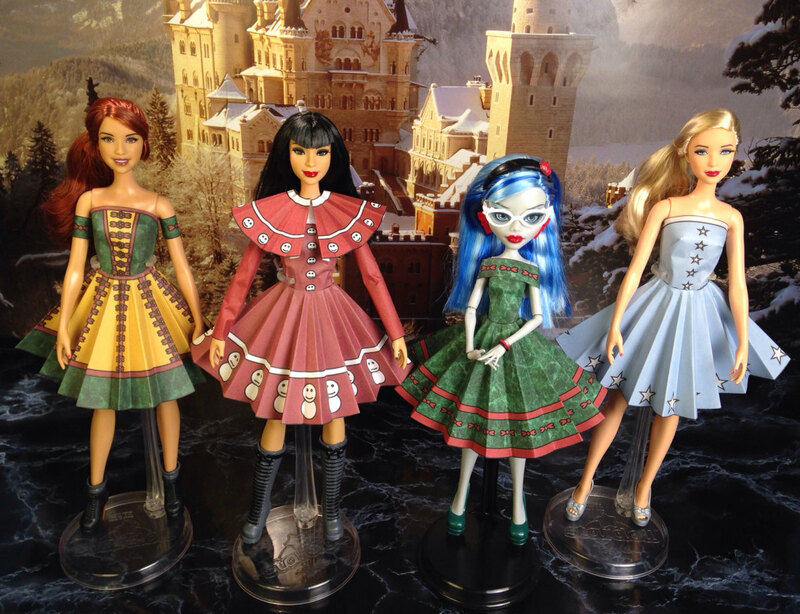 Ghoulia Yelps is wearing a top, circle skirt, and wrap around collar. Barbie Stardoll is wearing a top and circle skirt. Kitty Collier is wearing a top(she needs two, one in the back then one in the front over it. ), a straight skirt(two pieces), and a belt(again I used two), and shoulder straps(I used belts instead of strap pieces.). Each doll is wearing a top and circle skirt.